When this year started, I looked forward to so many things—not the least of which was getting married, which I did in October. In terms of writing, however, I was committed to finishing two short stories (I came close, and even started two more), completing the second draft of my third novel, drafting a novella, and finally securing an agent. Last January, I had no idea that in February I would receive a contract for my second novel (the work for which I sought an agent) with an indie publisher. The process involved with the eventual release and promotion of the book The Intersection consumed my year. And although the process exhausted me, it was—and continues t o be—a great experience. 2016 was the year of The Intersection. Although I was confident in my polished draft when I submitted it to the my publisher, Black Rose Writing, I of course had to give it one more pass once it was accepted. This involved reading the draft out loud and catching minor mistakes here and there. Since I hadn’t read the draft in months, my mind was not filling in details that weren’t on the page. I also read it again once my editor provided her notes—yes, another read-out-loud pass. When I submitted the finished draft to my publisher in May, I soon received the proof—which I had to again read out loud. Believe me when I tell you, I was not excited to do this for the third time in a matter of weeks, but I needed to ensure that every word was where it needed to be. Things happen when a work gets transferred and the time it took to inspect the proof was worth it—I caught 11 issues, and whether these were my mistakes or due to the process, I have no idea. But I caught them before the book went to press, and that’s what matters. By Spring’s end, when I normally wind my classes down and gear up for my Summer writing projects—all those 2016 goals—I now had to tackle my promotion plan. With a September release date looming, I had to begin lining up reviews. I targeted local press outlets, writer friends with blogs, local papers in other cities, and major reviewers, such as Kirkus Reviews, to gauge interest in writing about my book. These were the places I would send my e-galley once I got it. This part of the process is crucial, for you can’t wait until your book gets released to start soliciting reviews. Most places require a 2-month lead time pre-release. Then I had to line up appearances. Unless you have a major publisher behind you, complete with a press agent, etc., this will be on you. Although my publisher was prepared for their own support for the book, I had to make sure I was doing all I could. First, based on what my publisher was able to organize, I signed up for appearing at various book festivals in the Fall. 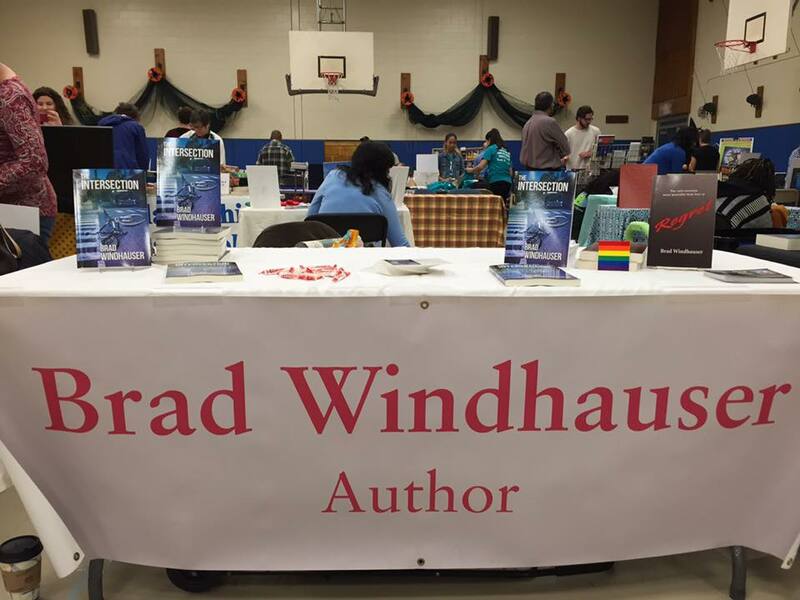 The ones they didn’t, I jumped on—The Collingswood Book Festival, for example, which is local to Philly. I also scheduled readings in various cities. In Philly, I put together a release party with a fellow artist and a venue I frequent. I pitched the event and advertised the heck out of it, ensuring the venue would see a good turnout—a thank you for hosting my big night. I also reached out to bookstores in other cities. Because solo author events are a tough draw, I used Facebook to contact authors in those cities to line up local talent to read with me. This worked particularly well in NYC, where I read last night (Dec. 3rd). Then I overhauled my website and lined up promotion materials. I revamped my website to tie in the themes of my novel as well as anchor it in its setting: Philadelphia. 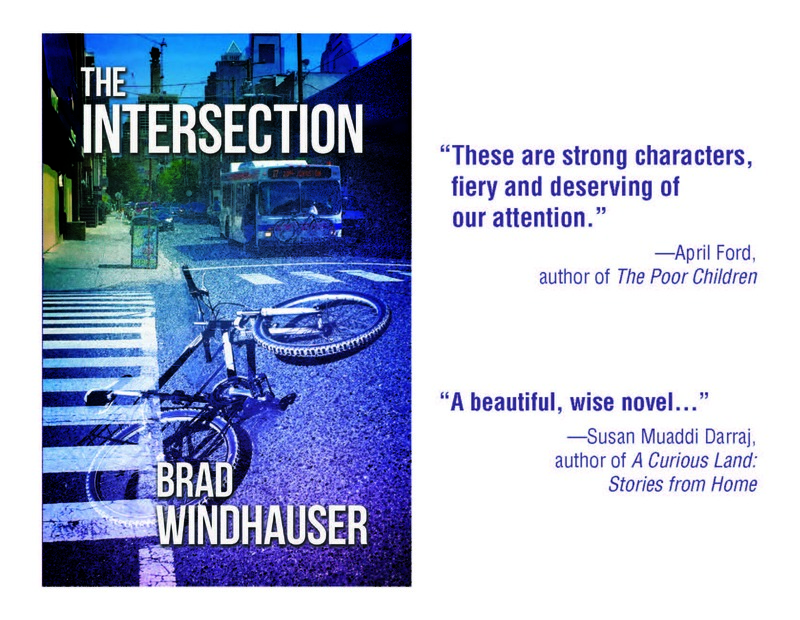 I also enlisted my friend’s help to design cool promo postcards for the book, which I was able to drop off to local coffee shops and stores to advertise The Intersection. 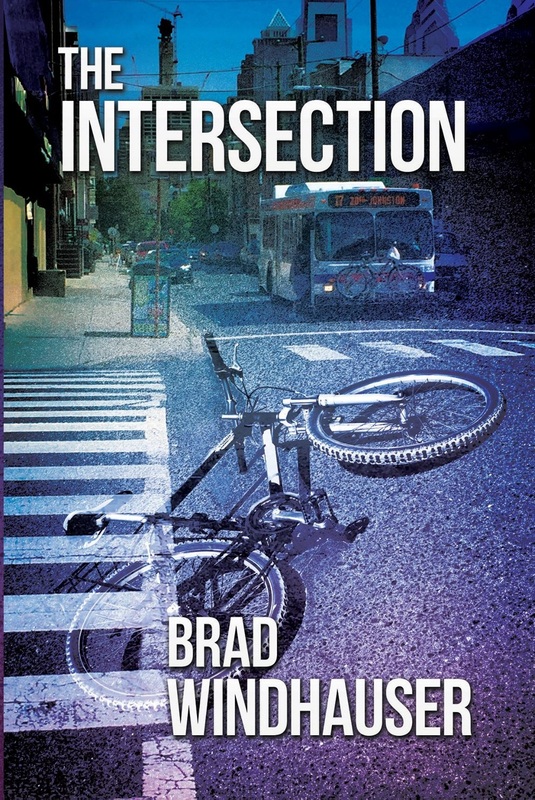 As 2016 winds down and I’m able to take a much-needed breath, I’m happy to complete this year’s promotion for The Intersection. In two weeks I’m honeymooning in Australia and will get to spend—among several planned excursions—quality time with a koala. My husband and I will be able to unplug and detach from all the craziness we’ve been experiencing in this country these last few months. Upon our return in January, I am looking forward to resuming plugging The Intersection with more appearances and readings. And then, I get to resume work on the goals I set for this year—bring on the next novel. You can read more about and order The Intersection here. This entry was posted on December 8, 2016, 12:03 pm and is filed under 2016: Looking Back, Brad. You can follow any responses to this entry through RSS 2.0. You can leave a response, or trackback from your own site.